Return to 221 Baker St. and solve 16 new mysteries. 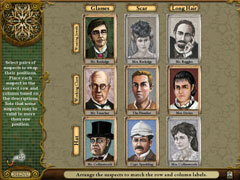 Return to 221 Baker St. and play as the famous Sherlock Holmes to solve 16 mysterious crimes in Victorian England. 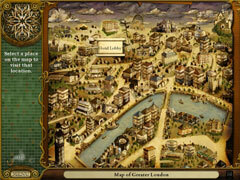 Dust off your magnifying glass and use your astute observational skills to gather evidence in 60 brilliantly rendered locations around Victorian England, from Stonehenge to London's Music Hall and more! Unlock vital clues by playing over 50 mind-bending puzzles and mini-games such as anagrams and cryptograms! Featuring over 40 levels of hidden object and find-the-difference game-play, and more than 100 lively characters, including Watson, Mycroft, and Inspector Lestrade. 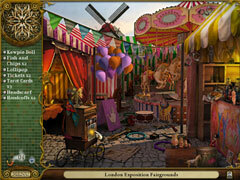 Each clue leads you closer to catching the culprit!